Peace from the Family Unit Up! After a sumptuous lunch, Mrs. Tomiko Duggan, UPF-DC Office’s Director of Public Affairs greeted the guests and elaborated details about the Internatioanl Day of the Families, she also gave people a glimpse of the organization’s view: “The Family as a pivotal unit in the society.” She then introduced the Master of the Ceremony who was also the Vice-President of the Washington Times Foundation and the event’s co-sponsor, Mr. Larry Moffit. H.E. 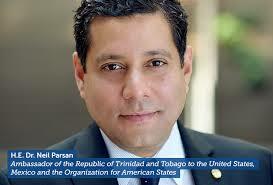 Dr. Neil Parsan is the Ambassador of Trinidad and Tobago to Mexico,and the U.S. He talked first and spoke about how Gender Equality helps in acheiving solace in the state and how the government should move in the same pace as the family. He tackled the matter of developing both the mother and father of the family in order to cater to broader needs of the family. Third was Mrs. Phindile Ntshangase, wife of the Kingdom of Swaziland’s Ambassador to the U.S. She spoke about the monumental role a mother plays in the family. She also stated that the Laws that promote Discrimination of Women and the Children have no spot to fill in the family and the community. 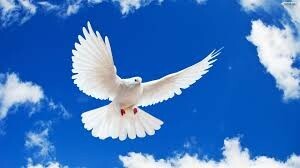 Her final words were for the Mothers, praising them for being the tree of wisdom in the family. Mr. Ricardo de Sena UPF-USA’s secretary general was the last speaker. His speech was centered around the sacredness of marriage and how God as the center of marriage promotes lasting harmony. He also spoke of different words from varying religions that supports the family. At the end of the event, H.E. Dr. Neil Parsan, H.E. Abednigo Ntshangase, Mrs. Hind Al Qatari, wife of the defense attaché of the Embassy of Qatar to the U.S. Mrs. Mie-Mie Joe Strickler, President of the Amer-Indo organization were appointed Ambassadors of Peace by Dr. Chang Shik Yang, President of the Washington Times Foundation. For a take on a slap stick theatrical approach to peace in the world see this review.